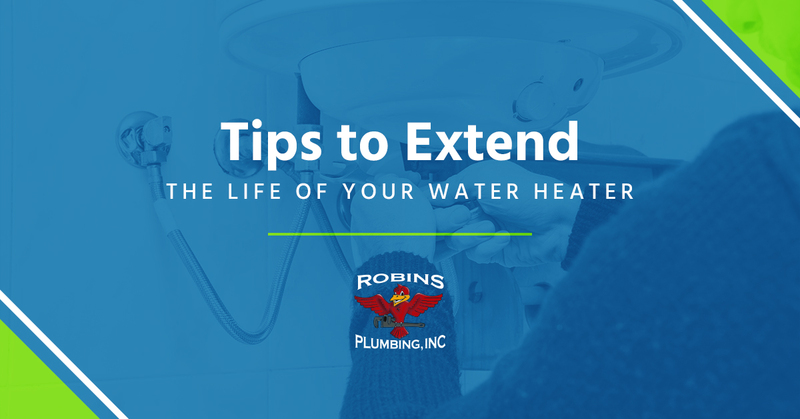 Tips to Extend the Life of your Water Heater | Robins Plumbing, Inc.
I’m so excited to share some tips with you today that could extend the lifespan of your water. Just like a car engine that is maintained regularly will last years longer than a car that is neglected, your water heater needs love and maintenance too. Now I don’t expect you to tap the top of your water heater the way you do your dash or name your water heater the way you named your car, but a little love and maintenance can go a long way with your water heater. 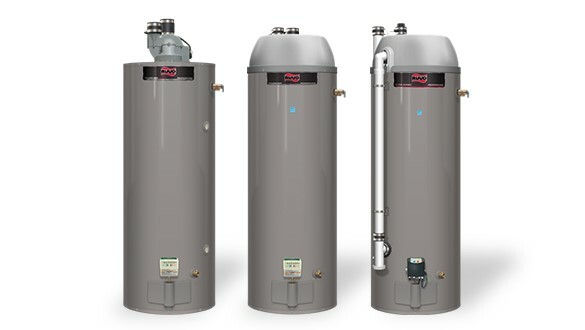 Annual water heater maintenance is often ignored by most homeowners, I know because if I didn’t have an email reminder every year that told me it was time to maintain my water heater I would completely forget, as do most of our new clients. That’s why we have our annual email reminder, you can sign up here to get a friendly reminder every 12 months that it is time to maintain your water heater. What does annual maintenance consist of with your tank style water heater? A lot of people think that simply draining your water heater is enough….it isn’t. Have you ever had a protein shake in one of those mixer cups with the whisk ball in it? If you haven’t let me quickly describe this to you. There are cups on the market with screw-top lids on them, they have a little ball inside that is designed to act like a whisk. 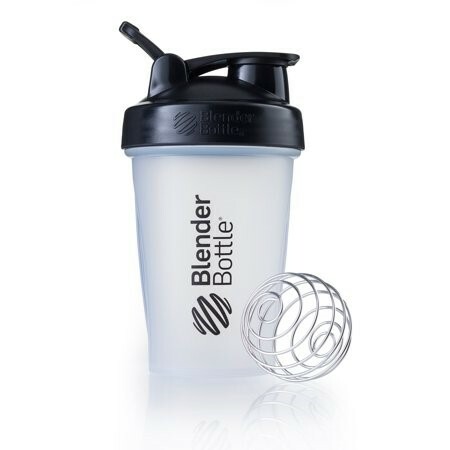 You pour your water and your protein powder in these cups, screw the lid on and shake them, allowing the whisk ball to try and turn your protein powder into something that resembles the ice cream shake you really wanted. Cleaning these cups is no easy feat, you cannot just drink your shake and call it quits, the inside of the cup is coated with protein shake, clumps of protein powder and I don’t know how it happens, but that stuff even gets in the threads of the screw-top lid. To clean these cups, you have to take off the lid, remove the ball and wash them. The same is true of your water heater. While you can’t open your water heater the way you can a cup, simply opening the drain valve at the bottom of your water heater and attaching a hose isn’t enough. It will drain some of the sediment and debris out, but much like that protein powder, without some assistance it is going to remain stuck to the sides and threads. Your water heater needs to be flushed annually, not just drained. Want to try tackling flushing your water heater on your own? Listen in as I give tips on the radio to our local real estate expert Chris Dunham the Real Estate Guy. Anode rod, something about this part’s name still makes me laugh after 20+ years. An anode rod is a part in your water heater that is designed to take the brunt of abuse from the minerals inside of your water. 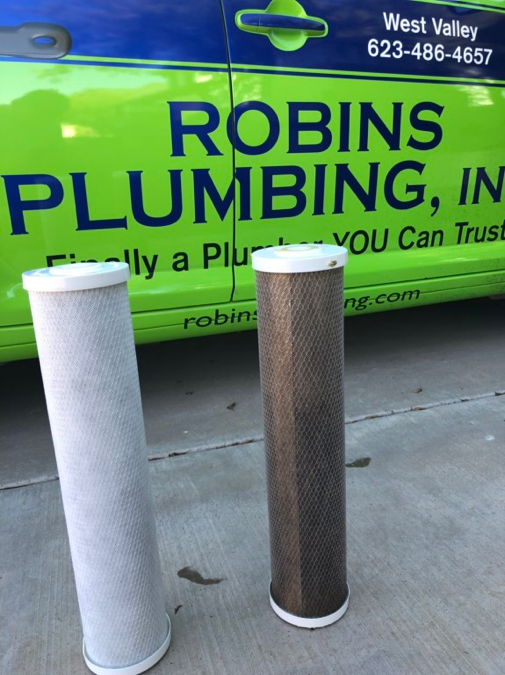 An anode rod upgrade during the initial installation of your water heater, when installed by a licensed contractor such as Robins Plumbing can extend the lifespan of your water heater by years. In fact, when this upgrade is performed by a licensed contractor during the initial water heater installation the manufacturer extends the warranty on the water for 4 more years. This turns a standard tank warranty of 6 years into 10 years. Anode rods make that much of a difference in the lifespan of a tank style water heater. Don’t fret if you’ve already had your water heater installed and missed the opportunity to upgrade your anode rod for the extended warranty, not all is lost. 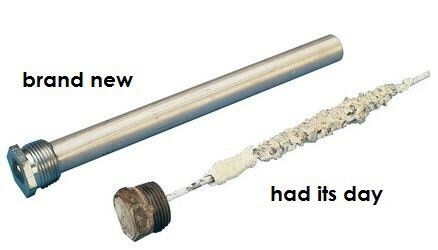 Your existing anode rod can be replaced. Both electric and gas water heaters have anode rods in them. With an electric water heater you can physically see the anode rod without removing it from the water heater if you remove the element and look inside but with a gas water heater you cannot see the anode rod without removing it from the water heater, which is no easy feat and often requires a lot of strength and a breaker bar to break the anode rod free from the water heater. If you are looking to maintain your water heater and add life to it, we recommend that your anode rod be replaced every 3-4 years depending on the condition of your water. Another option is to add an additional anode rod to your water heater, two anode rods are better than one. Cleaning your water heater is impossible, you can’t access the inside of your water heater to clean it, but there is a device on the market that can help to reverse the sediment buildup inside your water heater. 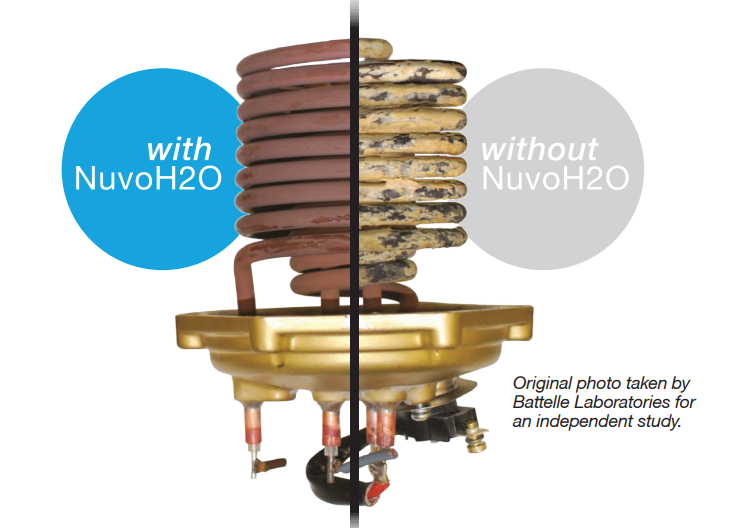 A water heater cleaner from NuvoH2O has been shown in an independent study to not just prevent sediment buildup but to also reverse it. Are you interested in learning more about cleaning your water heater? Check out my blog on cleaning your water heater for more info. Most of us think that having a salt water softener is a good thing. It makes sense to think that having soft water would make a difference when it comes to our water heater, after all, I’ve been harping about how bad hard water is for your plumbing. The simple truth is that, while hard water is hard on your water heater, so is salt. Salt water eats metal, ask anyone who lives near the ocean or anyone who lives where it snows and the roads are salted. If an extended lifespan on your water heater is important to you consider softening your water by a different means than salt water. If you have a salt water softener that you can’t live without and love, then you’re going to want to install the Nuvo H2O water heater cleaner and replace your anode rod more frequently. As both a homeowner and a professional in the plumbing industry I am a fan of and adamant about educating people on the benefits of soft water and filtered water. There are products on the market that can soften your water without adding salt to your system. My personal and professional favorite and what is installed in my home is the Nuvo softening system plus taste. The Nuvo H2O system, much like their water heater cleaner, not only prevents hard water buildup but also, with time reverses mineral buildup. That is sooooo cool! It is like anti-aging cream, only for your plumbing system. Protecting your water heater from mineral buildup is just the beginning. With a Nuvo H2O system you will have soft water at every fixture in your home depending on how the loop is set up. Some salt systems are not connected to the kitchen because of the added sodium to the water and most clients do not want to drink salt water and have sodium added to their diets. Do you have questions about maintaining your water heater? 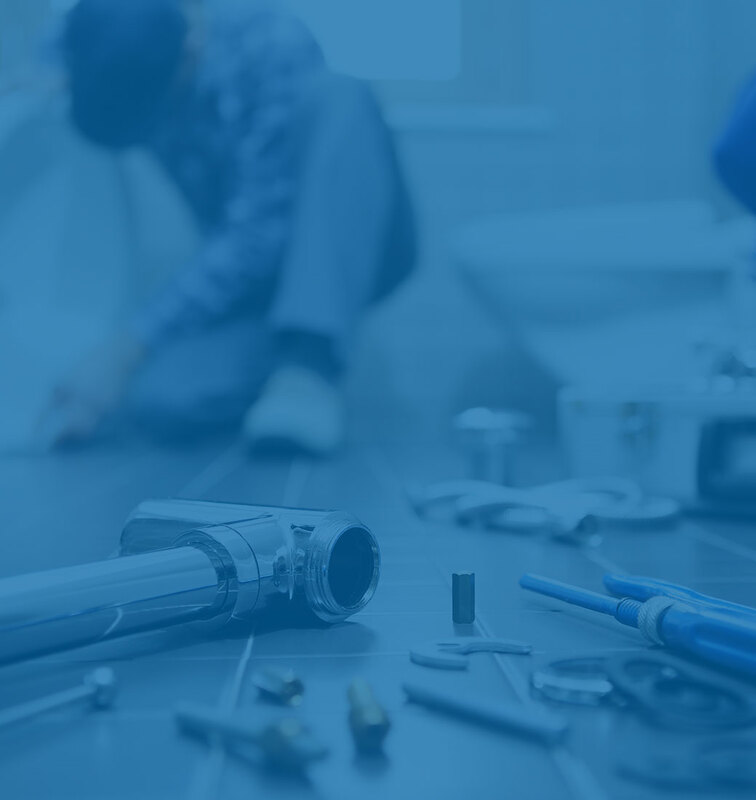 Don’t hesitate to call us and ask, we are the Phoenix Plumber and we are here to help!